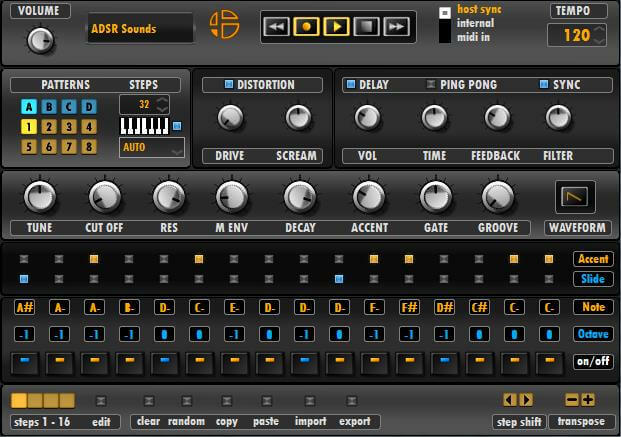 The AcidBox is a Bass Line Synthesizer recreation of the iconic TB-303 synth with a new interface and focused on real-time creation of sequences and tweaking in live situations. Classic “303” Saw / Square oscillators + a screaming LP filter. Up to 32 patterns / 1 to 64 steps per pattern. Note / accent / slide for each step. 1 Sequencer, with midi in keyboard input to ease your sequencing. Host sync : AcidBox sequencer is full sync’ed to the host. Internal : AcidBox sequencer is running independantly. 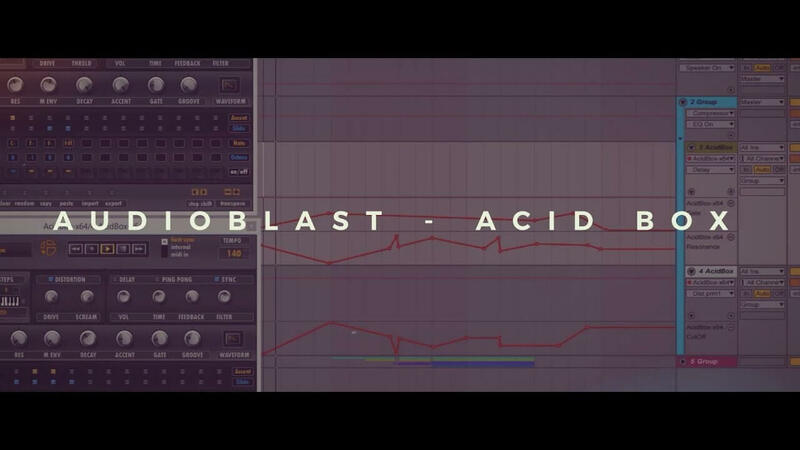 MIDI In : AcidBox reacts like any VA synth (overlapped notes = slide). Use MIDI notes or parameters to trigger patterns. Pattern trigger can be synchronized to host (Beat, Bar, or free sync). insert note in sequencer with MIDI in real time (use pitch bend up/down for slide). built-in distortion with 4 different units. 1 ping pong delay with feedback filter. export or import your sequences, patterns and banks in multi formats. MIDI Out : the AcidBox can send the sequencer notes to the host or to external synths. Various ways and options to export or import your sequences, patterns and banks in multiple formats. All are very easy to use. Export MIDI pattern : you can now export the 303 pattern in MIDI format, with contextual menu or drag and drop (see manual). OS version : should work on every Linux distribution. Library : QT4 libraries must be installed on the system.